With a little planning you can save money on movie tickets and movie rentals. Let's face facts - the cost of movie tickets has skyrocketed! According to a July 2011 New York Times article about the cost of movie tickets, the rise in movie ticket prices has outpaced inflation by more than half since 1999. What this means for a family of four living in the Chicago suburbs is that the cost of going to the movies can range anywhere from $35 - $44 depending on the age of the children -- and that's not including concessions. Fortunately, there are ways for families to save money while still enjoying a family movie night together. Armed with a little bit of knowledge and planning these money saving tips for movie tickets and movie rentals can help stretch your family's entertainment budget. 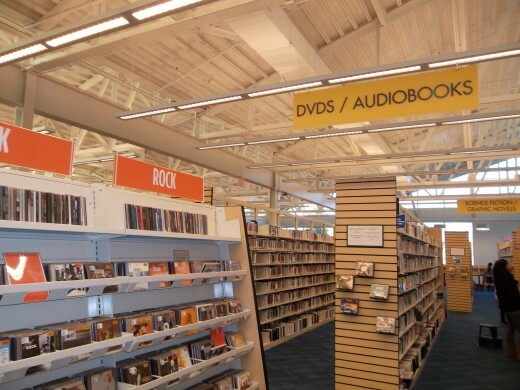 DVD rentals are usually free at public libraries. No matter which way you choose to watch a movie there are many ways to save money on movie rentals or movie tickets. Renting DVDs of movies and watching them at home offers significant cost savings over buying movie theater tickets. 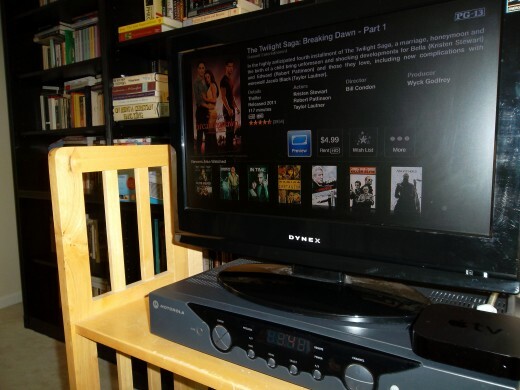 Luckily, there are many low-cost and even free ways to rent movies or DVDs. In addition, you can make your own movie concessions at home and the adventurous can even make an outdoor movie screen! If you haven't been to your public library in awhile you may be in for a surprise. Libraries are no longer solely chock full of books, but offer a wide variety of multi-media-rich resources, including DVDs. 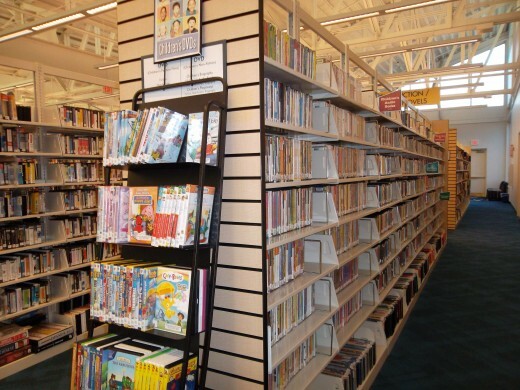 Many public libraries loan DVDs of movies for free. A typical DVD loan at a library may have a loan period of seven days, and an overdue fine of $1 per day. Redbox is a great source for low-cost, new-release movie rentals - in fact, their movie rentals are only $1 per day per movie! 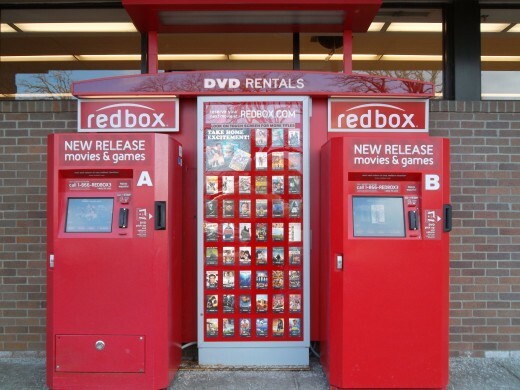 Located at major shopping locations, with over 29,000 kiosks nationwide, it could not be more convenient to rent and return movies to a Redbox. 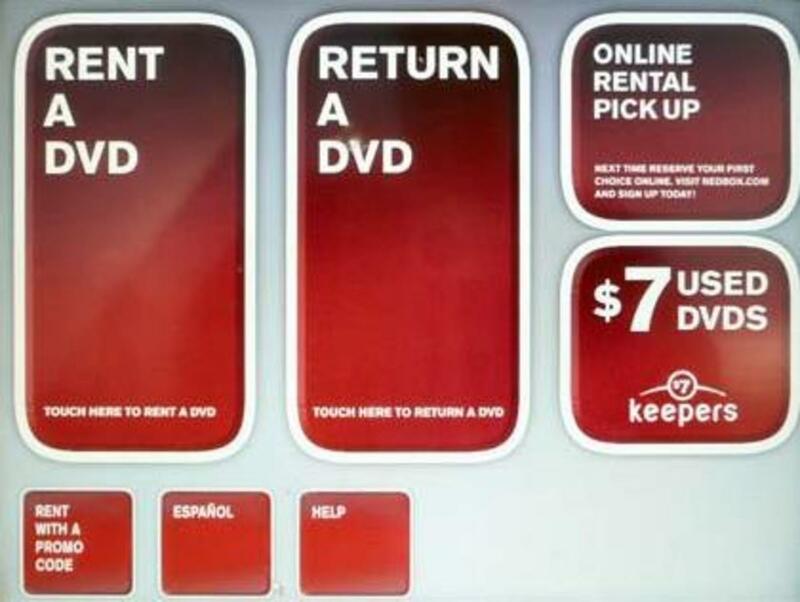 You don't even have to return the DVD to the same kiosk, making it a snap to rent near home and return near work the following day. There are a limited number of DVDs for each title in each Redbox kiosk, but you can easily go to redbox.com to check movie availability and to reserve the DVD too. 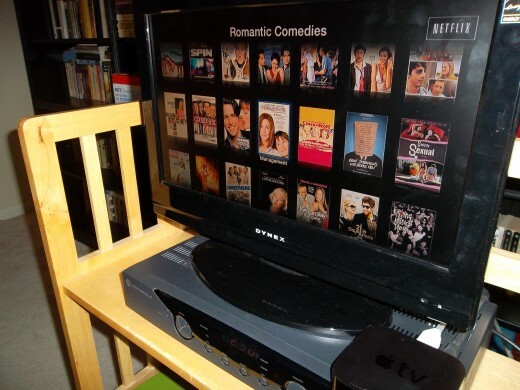 With an internet connection and an internet-enabled device, such as a PS3, Wii, Xbox, PC, Mac, iPad, or Apple TV, you can select movies directly from your television screen for streaming. Netflix claims to be adding 100,000 new customers per week, and it's no wonder since NetFlix is simple to use and a great value. If you have an iTunes account and an Apple TV receiver you can watch purchased movies from your iTunes library on your television screen. Additionally, you can rent streaming movies directly from your television screen from the iTunes Store. Most television cable service providers offer some form of on-demand service for their digital/HDTV customers. 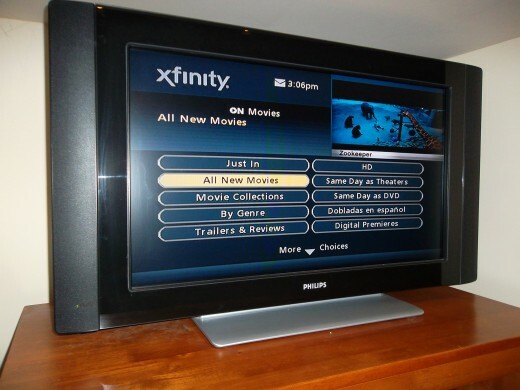 From the comfort of the couch, services such as Xfinity (Comcast) make it simple to select movies to view. The cost of movie rental varies depending on the movie. For example, "same day as theater" movies cost the most per rental at $9.99, however, depending on the number of viewers this still offers significant savings as compared to going to the movie theater. Buying DVDs is a good idea for movies that will be watched over and over. If you like to watch the same movie more than once then it may be more cost effective to purchase the movie instead of renting the movie multiple times. DVDs can be purchased through Amazon.com at significant savings over retail. Borrowing movies from a friend's DVD library is another excellent way to watch a movie for free. Matinee Tickets: Most theaters offer discounts for movies shown earlier in the day. Check your local theater, as some matinee prices are now only available for movies starting before noon. Discount Tickets: Many movie theaters sell packs of tickets in bulk, either at the box office or online. Typically, each movie ticket is $2 - $3 less per ticket depending on restrictions. For people that go to the movies a lot this is a great way to save on movie tickets. Discount Days: Some theaters may have discount days for students, seniors, or military personnel. AMC theaters, for example, sells tickets to students at a discount all day on Thursdays. 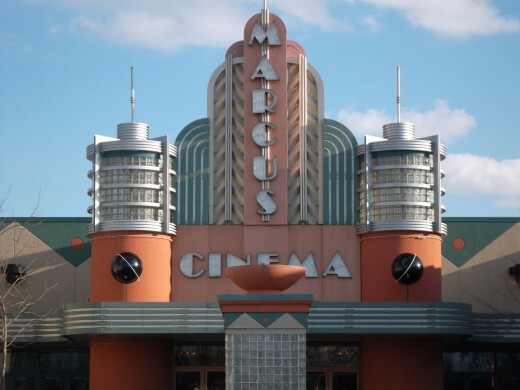 Movie Clubs: Many theaters have member clubs to earn rewards for going to the movies and for buying concessions. Rewards can then be used towards future movie or concession purchases. Regal's Crown Club is free to join and rewards can be received after receiving 50 credits. One credit is received for each dollar spent at the theater. Family Film Showings: Some theaters have special showings of films on days when parents are encouraged to bring their young children in tow. Usually the films are older and the tickets are steeply discounted. For example, some Cinemark theaters have "Reel Family Time" for .75 per ticket. Discount Theaters: While discount theaters may not offer the latest in stadium seating or a wide variety of concessions, they do sell movie tickets for less than the big-name theaters. Drive-In Movie Theaters: Drive-ins are few and far between, but if you have one in your city they are a great way to see movies for less. Oftentimes, drive-ins show double features for the price of one movie ticket. *Prices and discounts may change. Please check with each theater for current offers. Screen on the Green - Washington D.C.
A great way to watch movies for the family on a budget and to have a lot of fun besides, is to see movies shown by organizations. Oftentimes, groups such as churches and schools will show movies for free or a nominal fee. 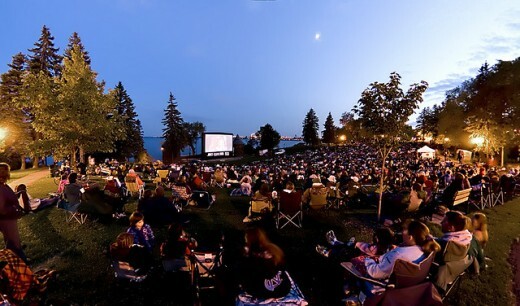 During the summer months many park districts and cities show movies in the park. Cities and Park Districts - may host "movies in the park"
Learn how to make your own outdoor movie screen and enjoy movies in your own backyard! Saving money on movie tickets and movie rentals is easy and fun! Even with the cost of movie tickets increasing every year, families still can enjoy movie nights together at a reasonable cost. 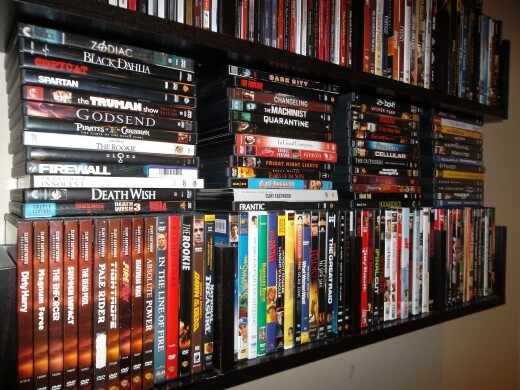 Many movie rentals can be gotten for very little cost, if not free. With a little planning movie tickets can be purchased at lower prices. Finally, free movie events, such as movies in the parks, are a fun way to see movies in an outdoor environment. Do you want to write about what you know or what interests you? Join HubPages now. It's free, simple to use & you can publish within minutes. Better Yourself - That's the best combination, saving money on things you enjoy. I appreciate the congrats. Great hub! I'm big on movies, so it was great to read all the info above on saving money doing something I enjoy! Thanks for sharing and congrats on Hub of the Day! urmilashukla23 - I appreciate the congratulations and am certainly glad you liked this hub. Great hub! Thank you so much for sharing. Congratulation on getting Hub of the day award! Take care. Moon Willow Lake - We also use Redbox and NetFlix. Occassionally we use the library and I have tried Hulu. I really like being able to rent new release movies from the cable when there's more than one of us watching. This really offers some very good alternatives so thank-you. I know we use Redbox, have rented from the library before, subscribe to Netflix, and also use Hulu (the free version). Since we do not have cable, I wasn't aware that new movies could be rented that way so thanks for the information about that. Thanks vocalcoach. I wonder what percentage of library patrons checkout DVDs. I think it might be pretty high. Gone are the days of having to pay around $5.00 for a single movie rental. I check out my local library every week for movies and always find at least 3-4 that I've not seen before. Very good hub on saving tips for movie tickets. Voted up! Thanks Lenzy. That's a really good idea to plan ahead for your trips by getting one of these Entertainment Books ahead of time. I'll have to see if I can find one of our local ones to see if they include discounted movie tickets. Steven911 - It's a very clear choice. I really think the only thing that some people don't like about Netflix streaming is that it doesn't necesarily have the newest releases. I'm not sure if that is an issue with people who get Netflix DVDs by mail. pstraubie48 - Another Netflix user! Netflix is very popular, but at $8 a month for unlimited streaming movies, why wouldn't it be? I normally buy an Entertainment book for our local area and often buy one ahead of time if we are going for a week's vacation to a big city area. All of the buy one get one free coupons add up when we eat out and I get discounts on the attractions. You can also get discounted hotels or rental cars. Discounted movie tickets are an option with the Entertainment book if you plan ahead.I believe you have to send for vouchers to get the tickets discounted unless that has changed. got2share - I have actually heard of The Entertainment Book before, but I have never purchased one. I didn't realize they had movie tickets. I'm going to look into it more and add probably add it as a way to save money on movie tickets above. Thanks for the suggestion. With Netflix being only $8 a month to stream unlimited movies & shows, I think it's clear what choice we should all use. Great article. Very resourceful!!! Lots of choices. For people who still want to enjoy going to full-size movie theaters, you can save BIG by buying something called "Entertainment Book." I am not sure they have those in Chicago. I live in LA. 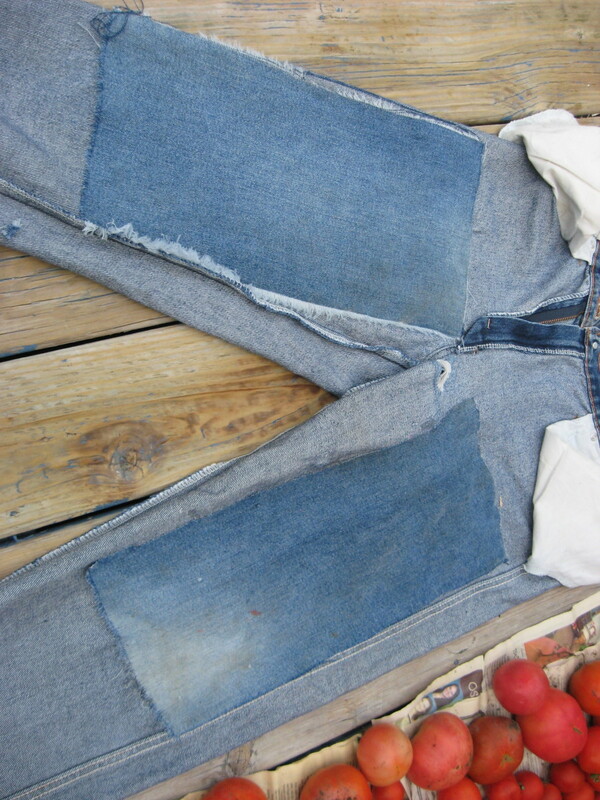 I think you can buy those in major cities. It's $25, but you can sometimes get $15. Well...basically it's a coupon book, for car wash, dining, movies, travel, etc. OK. With a coupon, I can buy a movie ticket for about $7. I mean that's a huge saving. For movie goers, if you go see movies a couple of time, it's well worth the price of that book. It comes out every year. Oh...I just thought of getting the website address. Don't worry guys! I am not affiliate and that's not affiliate link either. If you want, you can directly enter the above website address. Hope this helps for some who really wants to enjoy the movie going experience. susanm23b - Obviously from these comments, including yours, Netflix is very popular. They do say they add 100,000 new users a week and I believe it. The number of ways to watch movies and save money on movie tickets is ever-expanding. Of course I remember the days when the only option was the theater, followed by cable and movie channels, followed by the addition of renting VHS tapes at stores to play in a VCR. All the technology and options are terrific! Thanks for your comment. JayeWisdom - Isn't great that you can watch some television series, as well as movies on Netflix? The Roku is very similar to the Apple TV. There are actually quite a few different brands of receivers like these on the market. Years and years ago I used to watch the British comedy, Fawlty Towers. I love that sort of humor, but it's been some time since I've watched any. Thank you Stephanie. Agreed; the theaters have gotten ridiculously expensive, especially if you go on a regular basis. It seems that the matinee prices (before 5 p.m. or so) are the same price now that a full price ticket was just a couple of years ago. plb36 - Thank you so much. Our family seems to use a mixture of all of these movie-watching methods, but personally I'm partial to Redbox. 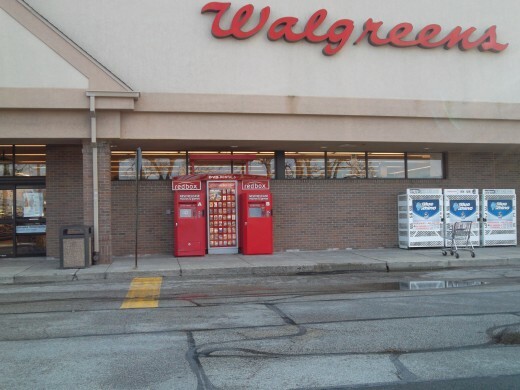 It's closer than the library and conveniently located at the grocery store and convenience store that I frequent. Great job with this! It's an excellent, well-researched resource for saving money and getting to see the movies you want to see. We have Netflix and really like it. It's great that there are so many choices available--something for everyone :) Voted up! I subscribe to Netflix streaming video, using a Roku, and also own a fairly large collection of DVDs. I don't buy a DVD unless I'm fairly sure I will want to watch it more than once. Since I enjoy the British TV series, Midsomer Murders, I've bought nearly all of the seasons except the most recent two, which I watched on Netflix. I own several other entire sets of British TV series DVDs, mostly mystery series (which I enjoy tremendously). I buy them at a discounted price and don't get tired of watching them, so they're bargains to me--especially since I don't have (or want) cable TV. I'm a real homebody since I retired. I can't recall the last time I actually saw a movie at the cinema! rebeccamealey - Hulu is yet another free way to watch some movies. However, Hulu Plus for $7.99 a month offers more current movies and even some current television series. I think they have a one week free trial. Hulu works using some video game consoles, a roku, steaming media players etc. You can also view on a pc. I know my son has hooked his laptop that has an HDMI port to the HDMI port of the TV, making the TV like a large monitor to watch Hulu. SMD2012 - You make some really good points about Netflix. I can think of a few times where I've gotten a DVD and partially into it really had no desire to finish it. With a Netflix subscription you can easily stop a movie and start another; that's the beauty of it being unlimited. Congratulations on Hub of the Day! I always enjoyed movies, but prices in theaters are just too expensive! You've provided a nice overview of alternate ways to enjoy movies. Thanks for the tips! Great ideas! Netflix is great. No more huge cable bill for me! Hulu and Hulu Plus is pretty good too! Esmeowl12 - I didn't know that Redbox had gone up to $1.20 in some locations. Thanks for letting me know. It's still a great bargain though for those that like to rent movies and have one nearby - so convenient too. I was out the other night and I couldn't believe the line at 2 Redboxes side-by-side at our grocery store. rob_allen - The thing about libraries is that almost every town has one, so you should always be able to borrow movies that way. You usually can borrow several at one time and usually for about a week-long period of time, so a lot of trips don't even have to be made. Thanks for commenting and for sharing this with your friends. I love our Netflix subscription. The selection of films available is growing and, honestly, I'm not at that age anymore where I just have to see the latest films right away. I also love that if a movie I chose turns out to be a bust half-way through, oh well, I just flick back to the main menu and pick something else. And here's another great thing about Netflix: I can watch the dumbest, cheesiest, silliest movies (you know, the ones that you wouldn't be caught dead renting, let alone talking about at a dinner party) without anyone else knowing! LOL! Congrats on being HOTD! DzyMsLizzy - You should definitely check the library for DVDs. I like your idea to watch them them for free to see if you want to add them to your purchased collection. If you have a Redbox near you, another commenter was saying how she purchases used movies that way for $5, yet another way to add to your collection. You are right, though, there are some movies that are just nice to see on the big screen. How nice that you have a discounted theater nearby so you can do that inexpensively. Thanks for your thoughtful comment. jaybird22 - It nice to go to the cinema sometimes, and if you do go a lot it's nice to get the discounted tickets ahead of time. At least it saves you a few dollars per ticket. I know what you mean; I have always been aware that you can borrow movies for free from the library but sometimes I just don't think to get a DVD from there when I am wanting one. These are all great ideas and we use many of them in my family. Note that Redbox, in many locations, has gone up from $1.00 to $1.20 plus tax. AlissaRoberts - Families going to the movie on a regular basis can get extremely expensive at regular price movie theaters. At least there are many ways to still be able to see movies together as a family without blowing the budget. Thanks for sharing and for the vote. StellaSee - I know some people who use NetFlix by mail. But I know many more who use NetFlix streaming. Either way, it is a very affordable way to view movies. Thanks for stopping by and commenting. First, congratulations on HOTD!! You deserve it for this well-done piece so chock-full of information. I know what you mean about the high cost of movies! I think the problem begins way back at the start of the process, with the obscene salaries paid to actors! We never go to the theater more than a couple of times a year, and then, we mostly go to our local older (historic, actually) theater, and even then, only on Tuesdays, which are bargain days--you get in for just $3.50. We don't do matinees--we like our peace and quiet while watching a movie. There are just SOME movies that require the big-screen experience to appreciate. The movie we went and saw last night was a prime example. I had not thought about checking out the public library, though. That's a good idea--especially for finding out if a movie is worth adding to your collection. Voted up, useful, awesome and shared! I knew about a few of these but you helped enlighten me on the discounted tickets at the actual cinemas. I've never been to a film festival before but it looks fun. Some of my friends in the Army used to take a bed sheet, hang it against a wall and connect a portable DVD player to a projector. The projector placed the movie on the bed sheet, making own big screen! It was a good way for us to unwind and spend soldier rec time! Thanks for your insight and great hub! Wonderful ideas for saving money, I always like that, we always tend to forget about libraries for rental. Thanks for an informative hub. VeronicFrakas - That's a great idea also to buy used movies through Redbox. I've seen that but I've never done it. I believe the Roku also receives NetFlix. The AppleTV is about the same size as the Roku and actually I noticed quite a few different brands of these receivers when shopping during the holidays. Thanks for sharing all that information. vespawoolf - Thank you. I appreciate it. 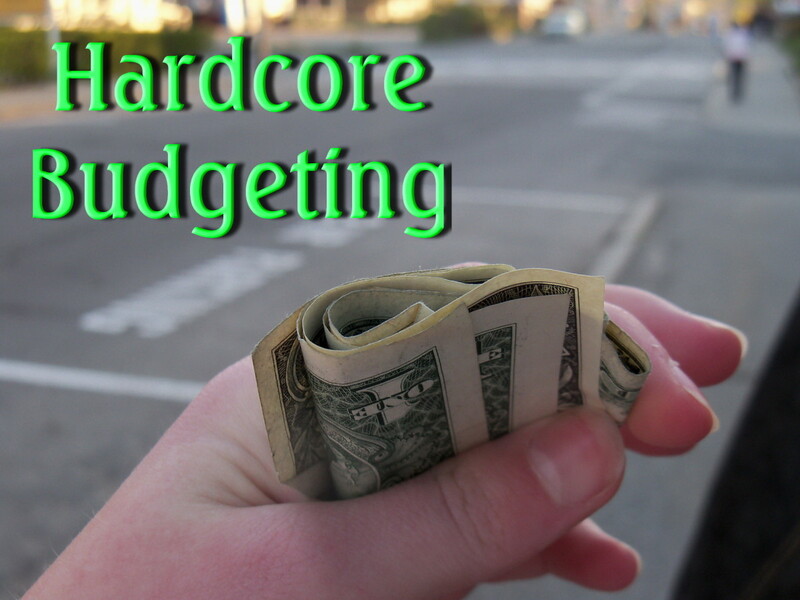 I also love money-saving tips and read through them whenever I see them. A fabulous hub for saving money on movies! We are big fans of getting movies at the library and the Redbox. Going to the theater just got way too expensive for our family of four. Great job and congrats on a well deserved hub of the day! Voted up, useful, and tweeting! winbo - thanks for taking the time to comment. I use Roku, too, which allows you access to a multitude of channels, including many movie channels. The box (its tiny; about the size of a cell phone) costs about $80-100, & that's the only thing you pay... unless you want special channels (like the MLB channel). Anyway, congratulations on having the Hub of the Day! Its definitely well deserved!! What a thorough and interesting hub! I love money saving tips. Congratulations on Hub of the Day, recognition well deserved! nice hub with useful information. thank you for your interesting hub. Thank you Eddy - more than happy to share all of this information. A great hub and thank you so much for sharing. Raakachi - You are welcome. I'm glad to share this information with you. Glocatore - Thank you for sharing so other people can see all the ways to save money on movie tickets too. I appreciate it. Thelma Alberts - Outdoor movies are a lot of fun. It's a good way to be involved in the community too. A different hub that teaches the ways for less paid. Thanks for sharing! Nice hub, up and sharing. 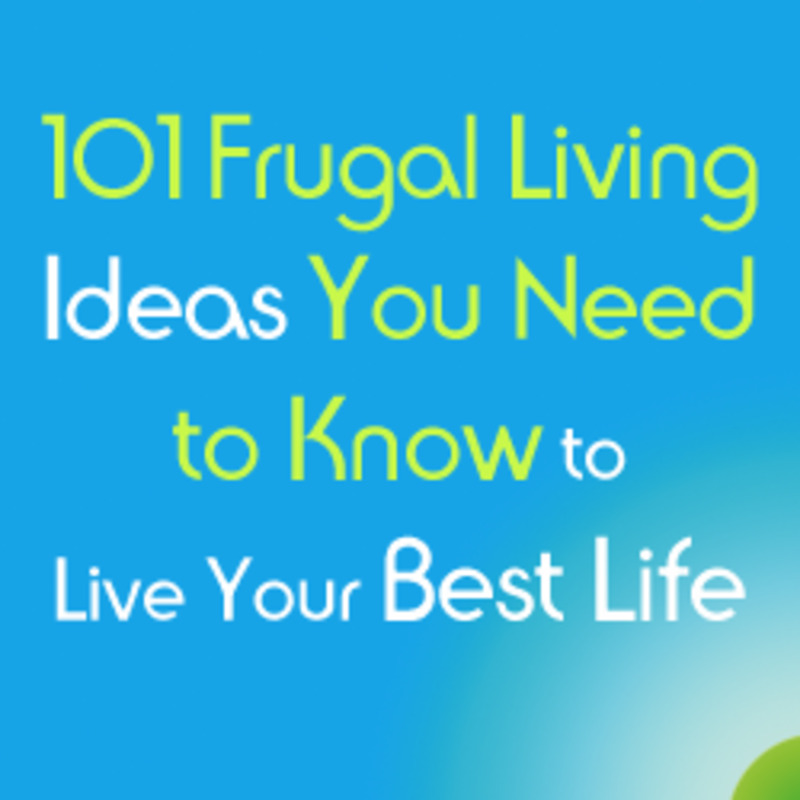 Great tips to follow and to save money. I love the open air movies at the park on a sunny day. Congratulation on the hub of the day. Thanks for sharing. Thank you Donna - glad you liked the photos too. Thank you Simone. I love it - "the path of least payment." The thing is, once you are aware of the ways to get things like movie tickets for less, it makes paying full price that much more painful! Oh, this is a FANTASTIC guide! I'm really cheap when it comes to media, especially since so much of it is free these days, so I'm always looking for the path of LEAST payment. Your comprehensive comparison is so convenient. Thanks for sharing the breakdown! MarlobyDesign - One thing I really like about Netflix streaming is that two devices on the same account can use the account at the same time. What this means for me is that next fall when both my kids are away at college they can each use the same Netflix account. I actually called and verified this with Netflix since it seemed too good to be true. I was told you can have 50 devices connected to one account but only two devices and two movies can used on the account at the same time. So even though the movies may not be the newest releases it still is a good value for $8/month, I think. I saw offers for Blockbuster on myCokeRewards too. If you go to their website you can see all the possible rewards. You can search by category and under movies is where I saw a couple offers or drawings for AMC tickets, as well as Blockbuster. All the Blockbusters have gone out of business around where I live but for 25 points it looks like you can get a Blockbuster rental for .99 through Jan. 2013. I don't know if they stil have it but you used to be able to get blockbuster video or game rentals free as well as packages that included a 1 liter coke product and popcorn. I think they were around 100 points. They may have dissapeared by now. That's a great tip Lenzy! I just checked out myCokeRewards and for 3 points you can enter to win AMC silver tickets from 2/1/12 - 3/31/12. They are picking 41 winners a day for 60 days. Thanks for sharing that info. MarioByDesign - Thank you. I don't think you're alone with the issues regarding the newest releases and streaming NetFlix. I wouldn't be surprised if at some point they raise the monthly movie rental fee and have some of the newest movies. Perhaps it will be an option. Time will tell. I love renting movies from the library - all for free! The only problem with the streaming NetFlix is that the selection is so poor compared to the mail selections...I tried it (streaming) and was so disappointed that the newest releases were not available. Great Hub. Thanks Steph. Discount theaters are a great way to save money on movie tickets. We have a few smaller local theaters as well, although their ticket prices are probably around $4 - $6 a ticket. What a deal your theater is! When I was in high school in CT we went to a dollar theater sometimes that even allowed you to bring in your own food. Great hub and a good resource. Another one of our favorite ways to save money on movie tickets is to attend a local, small theater that has second-run movies (usually films that have recently left the main theaters). Child admission is only $1 and admission for adults is a mere $3. Our theater has 3 showings per day on the weekend with films that are rated G or PG for the earlier shows, then films rated PG-13, and films rated R play the latest.